A special subset of Feeding and Cutting is Sawing. We believe that sawing applications warrant their own level of application and engineering simply due to their practicality and ease of application. Simply stated, there are a lot of saw applications in manufacturing. These applications can range from processing plastics to metal to wood. Sawing can be a manual function in which an operator loads and unloads the part and also positions it for cutting. 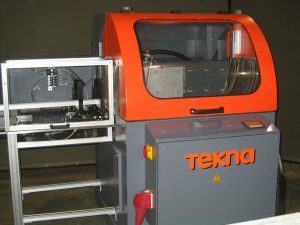 Other sawing operations can be automated system where loading, feeding, and unloading can be part of the process. 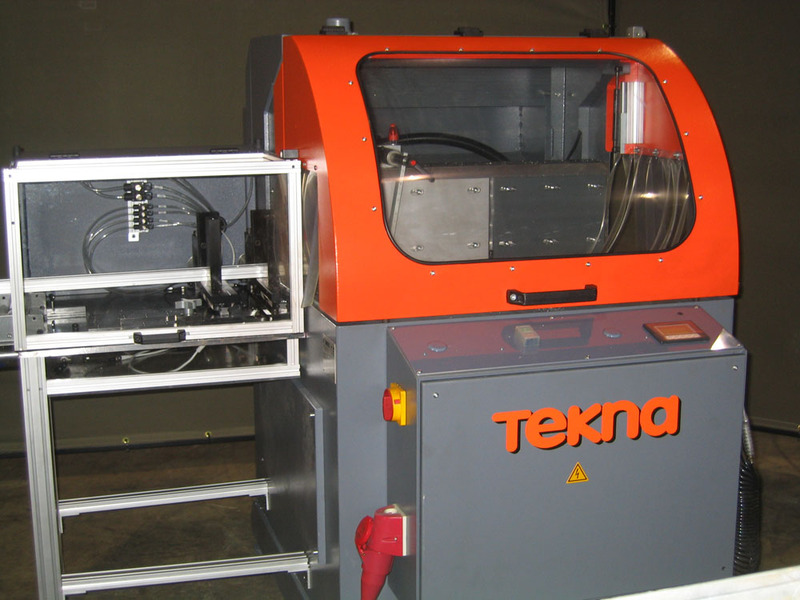 Over the years, we have addressed a variety of sawing applications from manual to automatic which have been applied to a wide variety of materials. As with all of our applications, we engineer the solution specifically for the application. 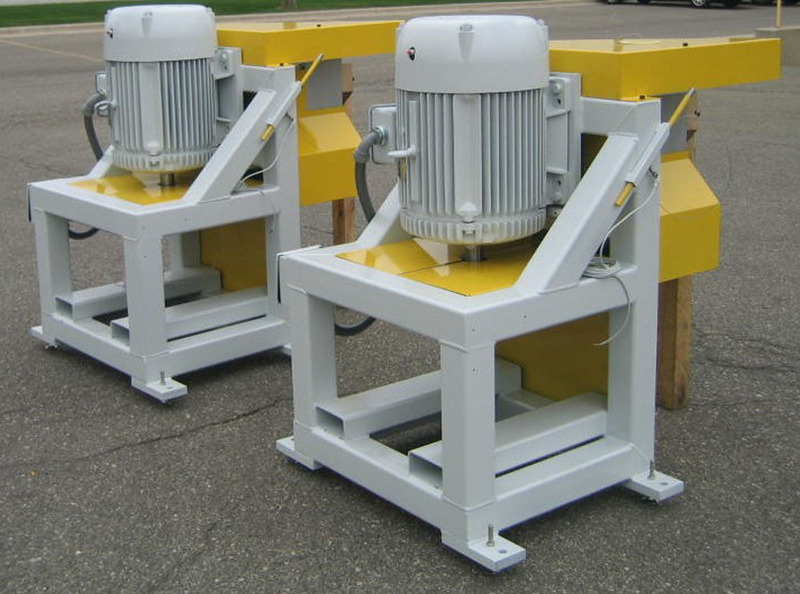 We have produced a variety of saw systems including our own specially engineered saw systems utilizing precision engineered spindles. We have also retrofitted commercially available saws with handling and infeed systems. 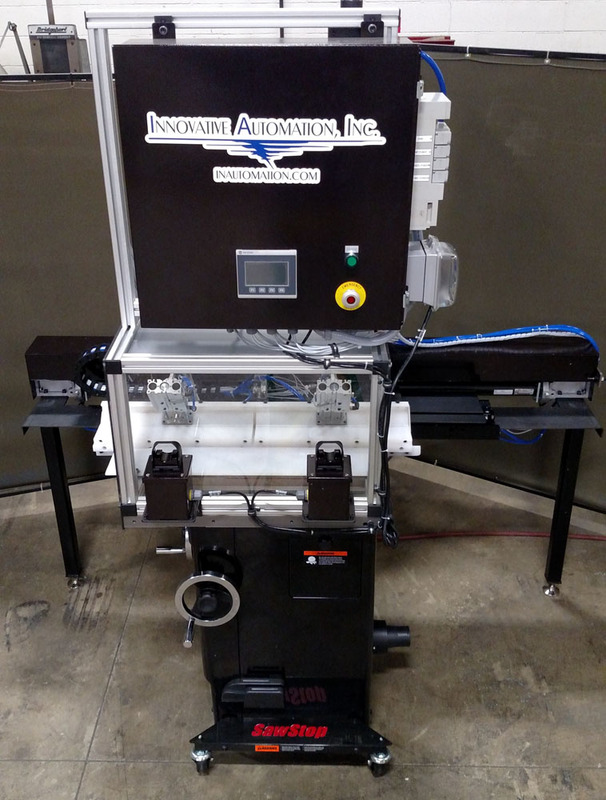 If an existing system will work for the application, we are more than happy to integrate it into a complete manufacturing solution for your application. Whether our own design or a modification to or integration of an existing system, we will provide you with the best solution for your unique application.